Now that the kids are back in school, we're back to making lunches every night again; and it can be a daunting task! 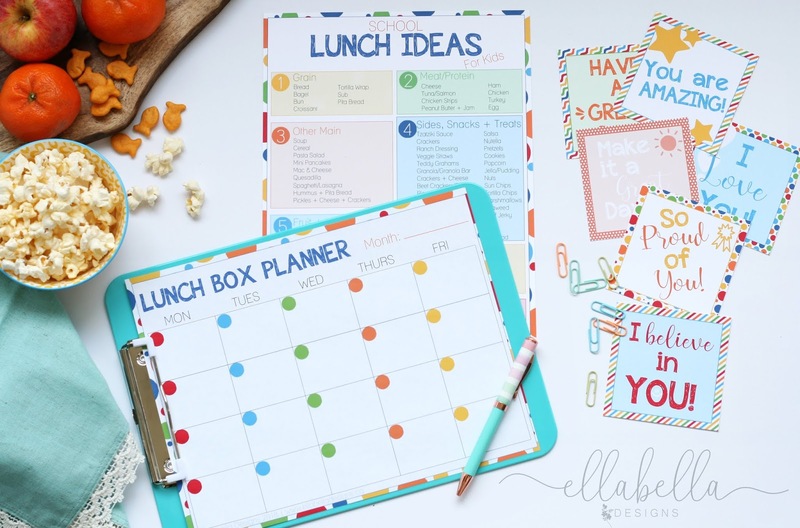 Last year I shared my School Lunch Ideas List printable (see below), which I love to look through now and again for different lunch ideas for the kids. I have it printed and on the fridge so it is handy when I am making lunches. This year I have also done some back to school baking; it is always nice to send the kids off for the day with fresh homemade baking! 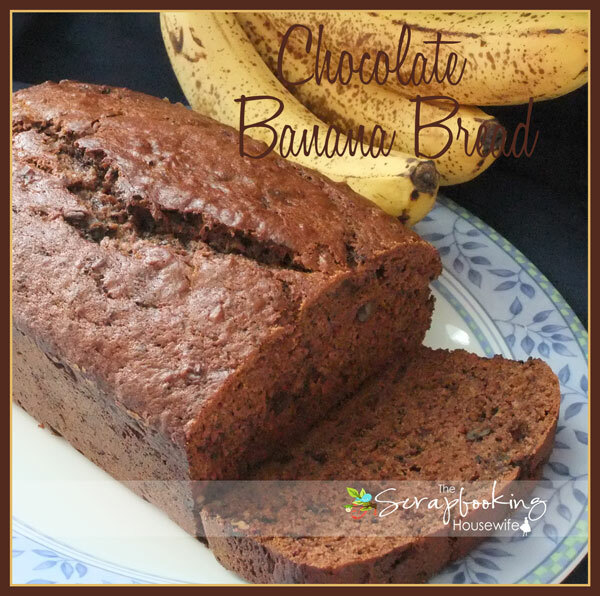 I recently tried a new recipe, Chocolate Banana Bread! 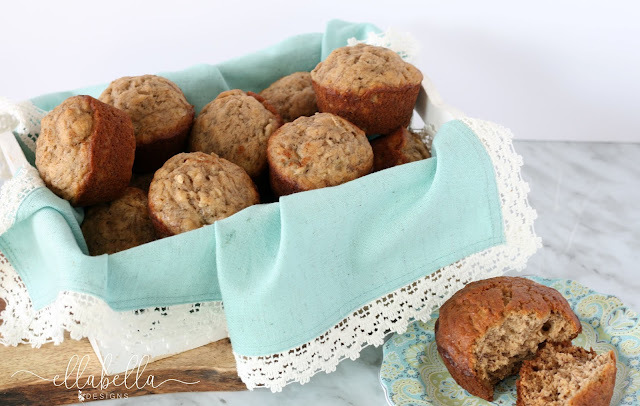 It is really delicious and I'm not sure if I will be able to go back to just regular banana bread again! 1. Preheat the oven to 325°F and prepare 9 x 5 x 3 inch loaf pan with cooking spray. 3. In a small bowl, mash the bananas with a fork (or potato masher). Mix in the milk and cinnamon. Add to creamed mixture and stir until combined. 4. In another small bowl, mix together the flour, cocoa powder, baking powder, baking soda and salt. Add to batter mixture and stir just until flour disappears. 5. Add cooled, melted chocolate and toasted pecans, fold into batter making sure not to over mix. 6. Pour batter into prepared pan and bake 1 hour to 1 hour 10 minutes, until a toothpick inserted in the center comes out clean. 7. Set aside to cool on a rack for 15 minutes. Remove bread from pan, invert onto rack and cool completely before slicing. 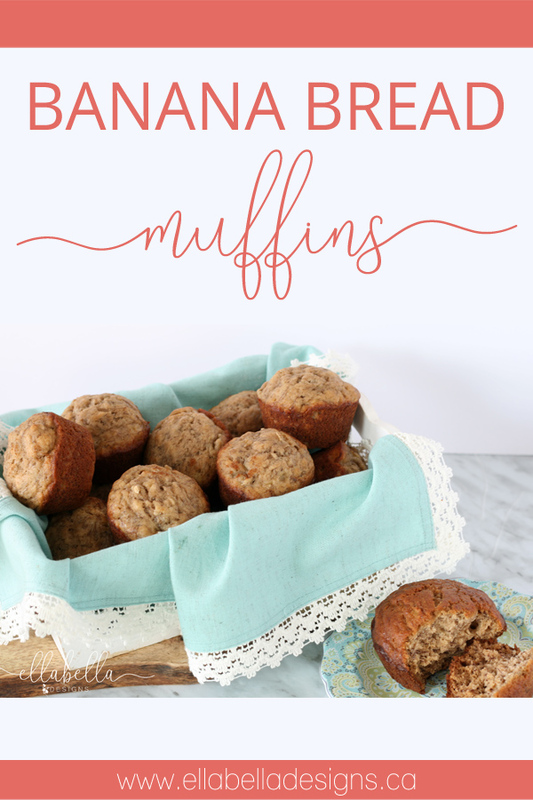 I also love making banana bread muffins, they only take 20 minutes in the oven to bake and so easy for the kids to grab and go! And here is the school lunch idea printable I made for easy reference. I keep it on the side of the fridge and the kids like to go through it and choose what they are having in their school lunch the evening prior. Those are really great lunch ideas! Oh, and love the notes.